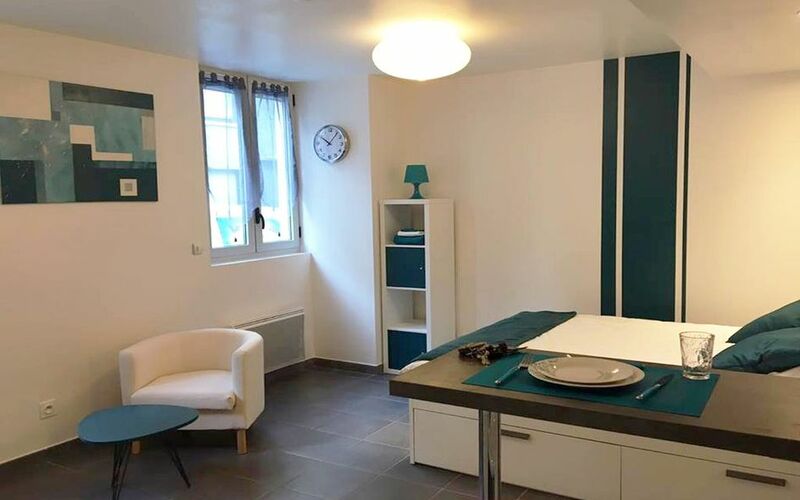 The Sleep in Lourdes apartment is located in the city center (200m from the market halls and rue de la Grotte), 6 minutes walk from the sanctuaries and the grotto of Lourdes, close to all amenities in a quiet street. The studio has access to a collective storage room for storing skis and bicycles. An extra mattress to accommodate a child up to 7 years old is available. He will be will be lying on the ground against the parents' bed. Please specify it 24 hours before your arrival to our provider. We strive to make your stay as perfect as possible. Every little attention counts and that's why a surprise will be waiting for you upon your arrival in the apartment. In addition, we remain available for any service you may need. The apartment is located 400m from the Tourist Office of Lourdes, however you will find several documents on site. Large door to the entrance of the housing allowing access to the person with reduced mobility.